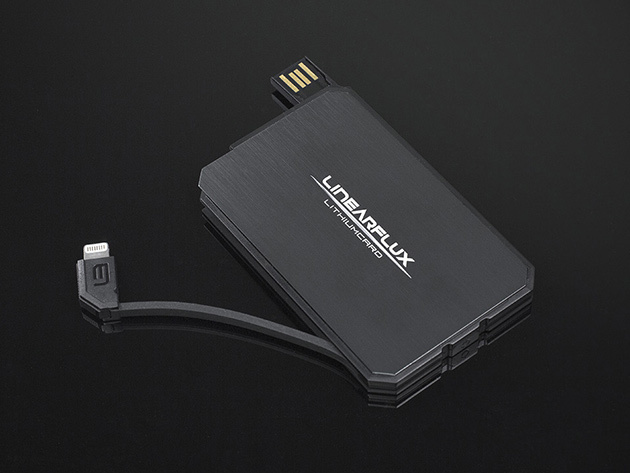 Despite its terrible name, the $20 LithiumCard Wallet Battery seems like a really cool product. It is roughly the thickness of 5 credit cards stacked together and is designed to fit in almost any wallet. The charge cord (Lightning or microUSB -- select your preference from the drop down menu) can be easily tucked away in the battery. It comes with a Nanostik pad for attaching to your device if you'd rather not carry it in your wallet. The 1200mAh promises a quick charge wherever you go.